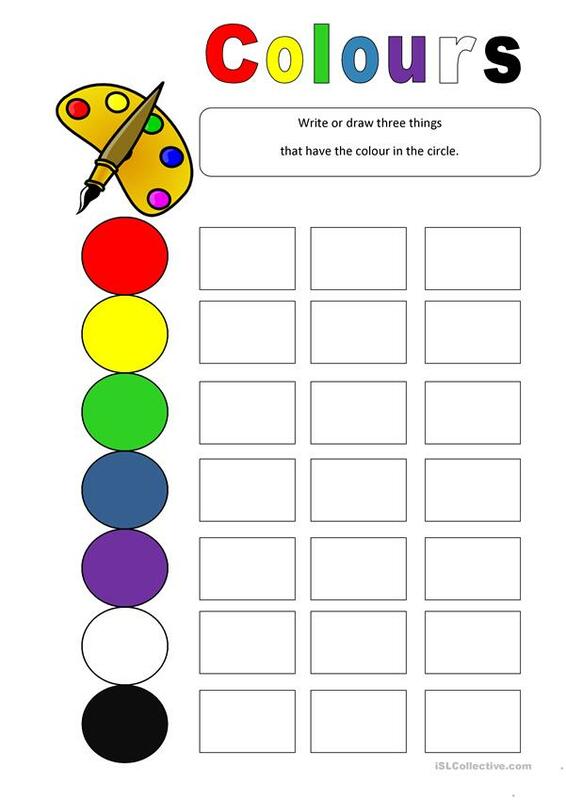 This worksheet can be used with beginners as soon aas they know the colours. They are to come up with three things that are for instance red. Then the teacher could write the words on the blackboard and the students copy them onto their worksheet. The activity will provide the students with 21 new words (nouns) that can bu used in other activities that follows. This downloadable teaching material is recommended for elementary school students and kindergartners and nursery school students at Beginner (pre-A1) and Elementary (A1) level. It is aimed at practising Nouns in English, and is excellent for working on your class' Speaking and Writing skills.